and BBQ are spiking and business owners are updating their hours to accommodate summer tastes and needs. But what good are seasonal hours if your customers don’t know about them? To welcome businesses into the start of summer, we’re shedding some sunshine on the importance of updating your business hours. So how can you let customers know about your summer hours? 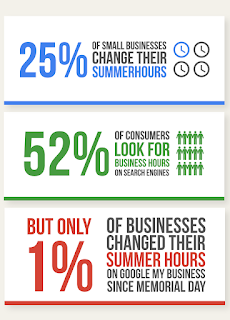 Today we’re launching gybo.com/summer as a way for businesses to see how their hours currently show up on Google. If you haven’t already, claim your business listing on Google My Business and then update your hours. Once your hours are updated, people will see them when they look for you on Google Search and Maps. Closing early next Friday? No problem. 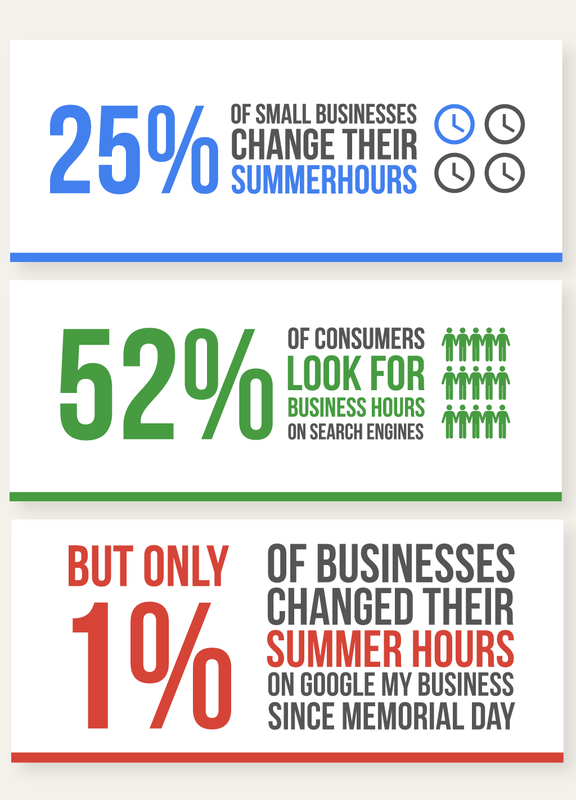 You can can change your hours on Google My Business on Thursday and avoid having any disappointed customers on Friday. Starting in July, Sedona Golf Resort in Arizona opens early, so golfers can hit the course in the morning and beat the midday heat. Kid’s Science Labs in Chicago also extends hours. Co-founder Keith Norsym says,“We open earlier, at 8am and stay open until 5:30pm to allow parents to drop-off and pick up their kids conveniently.” The summer schedule allows them to infuse a bit more science into summer vacation. We want to help small business connect with customers in the moments that matter this summer. Businesses with complete listings are 2x as likely to be considered reputable by consumers.7 That means this simple change can make a big difference. Not to mention, it’s free and only takes a few minutes–so that you can get off the computer and get those burgers onto the grill. It’s the first official week of summer! That means searches for warm weather favorites like iced coffee and BBQ are spiking and business owners are updating their hours to accommodate summer tastes and needs. But what good are seasonal hours if your customers don’t know about them? To welcome businesses into the start of summer, we’re shedding some sunshine on the importance of updating your business hours.